BMoC individual sessions are no substitute for an expert medical examination or treatment! 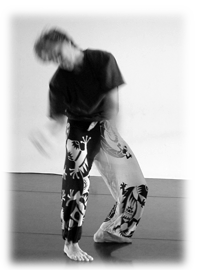 BMoC works with movement and dance in the broadest sense – since already when we breathe movement is happening, and as long as we continue breathing everybody can dance (her or his life). Our perception of this dance (of life) – of how connected or disconnected, free or impeded we are in it – directly influences how we cope with life and how we shape our relationships. BMoC builds on the body’s wisdom (in movement). Through the direct physical experience this wisdom allows us to explore this very moment on the one hand as well as all kinds of possibilities, alternatives, and variations of life’s dance on the other. Different qualities of movement and approaches to our own body can be tested and – if viable – transferred into real life. Neither a specific form nor knowledge or skills in dancing are necessary. Everybody begins at her/his individual starting point. Last but not least BMoC trusts in the dance’s inherent healing ability, because dancing fosters movement and contact and opens a path to joy and vitality. If you choose individual sessions you have decided to attend to and accept support with matters that stir inside you and are possibly weighing you down, even blocking you. So in our sessions I will go by whatever you bring as a topic, whatever stirs in your heart or stands in your way. Sometimes the issue can already be named quite clearly, sometimes we find out together – often it is both. In the session you will have plenty of space to explore your topic, discover connections, and integrate new ways of acting and perception. I will support you through movement, music (sometimes other media, too) as well as in reflecting exploratory dialogue. You receive inspirations and feedback. Dance therapy knows many ways and methods, and I apply them where helpful for your individual needs. 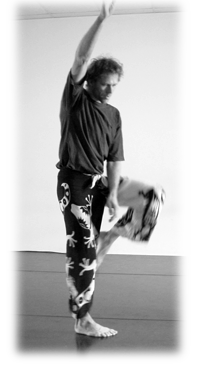 What all approaches have in common is the emphasis on direct experience of body and movement. The focus clearly lies on exploration and experience rather than analysis and discussion. longing for self-fulfillment, personal growth, more vitality and contact in life a.m.
get to know and love the bright and the dark side in you. To me self-healing begins with expressing the bright AND dark aspects of being human, accepting they both exist in us; knowing that everything can change, and allowing it to. Time, frequency and duration will be scheduled individually. My method allows for various different arrangements. My method is based on a systemic view on people, their behavior, and general interactions (read more : Systemische Tanztherapie ). It also reflects my practical-spiritual understanding of the world and human beings, concepts which I experienced through my teachers and have since developed further. Copyright 2015 -2018 Dance Tribe Healing - All rights reserved. Steuer-Identifikationsnummer: 52 386 714 069 || Haftungshinweis: Trotz sorgfältiger inhaltlicher Kontrolle übernehmen wir keine Haftung für die Inhalte externer Links. Für den Inhalt der verlinkten Seiten sind ausschließlich deren Betreiber verantwortlich.